Here at The Gull we strive to be competitively priced on all of our items. 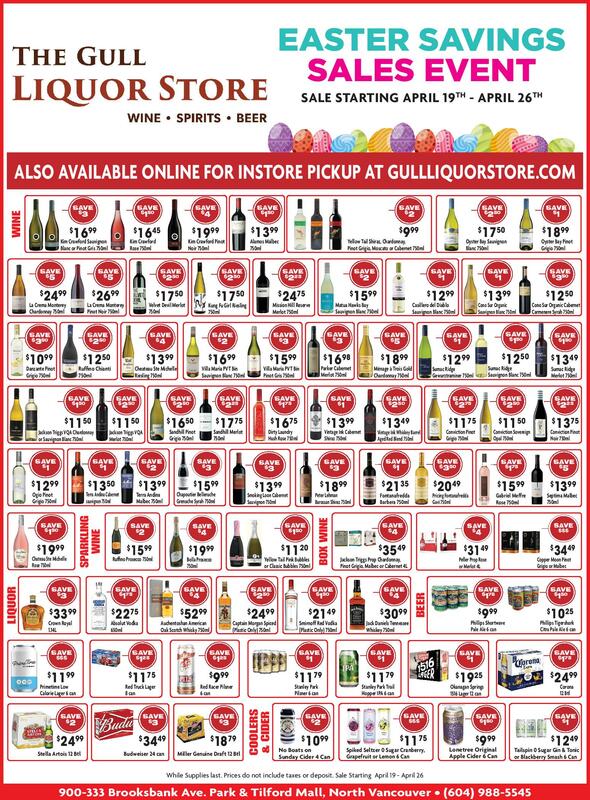 Every month we offer even greater deals on select beer, wine and spirits which you can view below. Please check our inventory, available on our website for current stock availability or call us to avoid disappointment. All specials are before tax and deposit and are available whilst stocks last.